Humble Hearts Yoga – Stay Humble. Be Kind. Love. Humble Hearts Yoga A yoga practice encouraging love and acceptance of self and others. Stay humble. Be kind. Love. Customized one-on-one and small group yoga sessions in your home or office. Non-profit, senior and package rates are available. Gentle Yoga Series at Newton Whole Health, 13 Highland Circle, Suite E, in Needham, on Tuesdays at 7pm. Registration required. 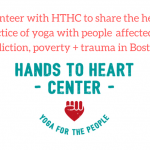 On a volunteer basis courtesy of Hands to Heart Center – Yoga for the People, a nonprofit organization that shares the healing practice of yoga with people affected by addiction, poverty & trauma in Greater Boston. 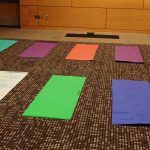 FREE yoga class at Boston Public Library – Mattapan Branch, 1350 Blue Hill Ave, Mattapan on Thursday evenings at 6:30pm – drop in basis. In partnership with the Colonial House Inn in Weston, Vermont, an Introduction to Yoga weekend – geared to those who have little or no experience with this ancient practice. Stay tuned for 2019 weekend dates. Vinyasa flow or gentle yoga on a contract basis in local studios in and around greater Boston. Contact Jeanne for more information on any of these offerings, or to schedule a complementary session.